The Philadelphia Union promote responsible drinking and positive fan behavior at Talen Energy Stadium. The Union Fan Code of Conduct and details of the Union alcohol management plan that appear below ensure that fans have a safe and fun experience. Guests will enjoy the entertainment experience free from foul/abusive language or obscene gestures. Guests will show their ticket when requested and sit only in their ticketed seat. Guests will refrain from displays of affection not appropriate in a public, family setting. Progress of the game will not be disrupted by guests’ actions or unauthorized persons on the playing field. Guests will refrain from wearing or brining obscene or indecent clothing, banners or flags. Guests will promptly and carefully return the ball to a stadium staff member or a ball kid on the sidelines in the event that a soccer ball enters the stands. Guests will refrain from mistreatment of visiting team fans, including verbal abuse, harassment, profanity, confrontations, intimidation or threating behavior. Guests will be ejected from Talen Energy Stadium for violating the fan code of conduct. *Disclaimer: Guests who choose not to adhere to the code of conduct will be subject to ejection without refund and the potential for loss of ticket privileges for future games, arrest and prosecution. Guests will also be required to take the online Fan Code of Conduct class. Any guest deemed in violation of the Fan Code of Conduct may be subject to ejection from Talen Energy Stadium. Any fan ejected from Talen Energy Stadium will have to complete the online Fan Code of Conduct class. The fee for the class is $250. 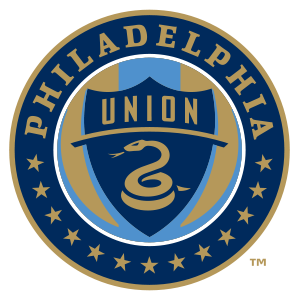 A portion of the proceeds will be donated to the Philadelphia Union Foundation. Fans must receive 70% or better to pass the class. After completion of the course, the fan can submit their request for re-admittance into the stadium. Talen Energy Stadium and Spectra promote the responsible sale and consumption of alcoholic beverages. All guests purchasing alcohol who appear to be less than 40 years old must present a valid ID. A purchase limit of two (2) alcoholic beverages per trip will be enforced. All alcohol sales will cease in the seating bowl, concession stands and portables at the completion of the 70:00 minute mark in the second half, but may also be discontinued earlier at the discretion of Talen Energy Stadium. Adult guests passing alcohol to anyone under the age of 21 will be prosecuted to the fullest extent of the law. Guests possessing alcohol who do not have proof of being 21 or older will be subject to arrest and citation. No outside alcoholic beverages may be brought inside Talen Energy Stadium. Gatekeepers monitoring the exits will request that guests finish or dispose of alcoholic beverage before exiting the stadium. Areas will be monitored for alcohol misuse and underage drinking, and reported to authorities. In 2011, Spectra at Talen Energy Stadium received TEAM Coalition’s Championship Performance award for having 250 or more employees TEAM certified. Designated drivers who make this pledge at Philadelphia Union home games receive a free soft drink and are entered into the Major League Soccer Responsibility Has Its Rewards Sweepstakes.